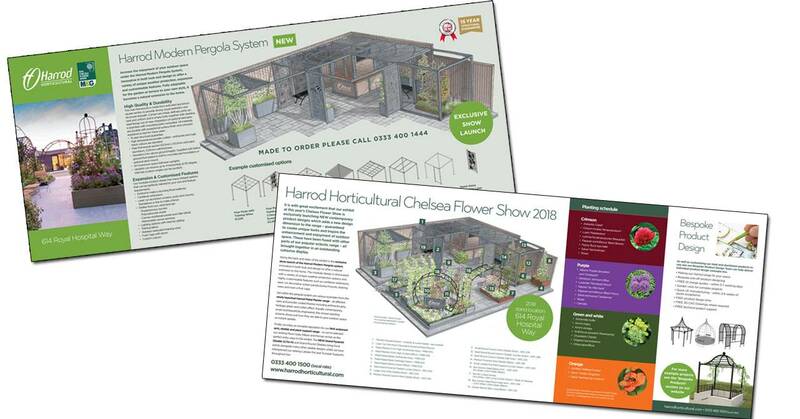 The countdown is on to the highlight of the gardening year - The RHS Chelsea Flower Show and Harrod Horticultural are proud to be exhibiting for our 15th year! Come and see us at 614 Royal Hospital Way from the 22nd to 26th May. 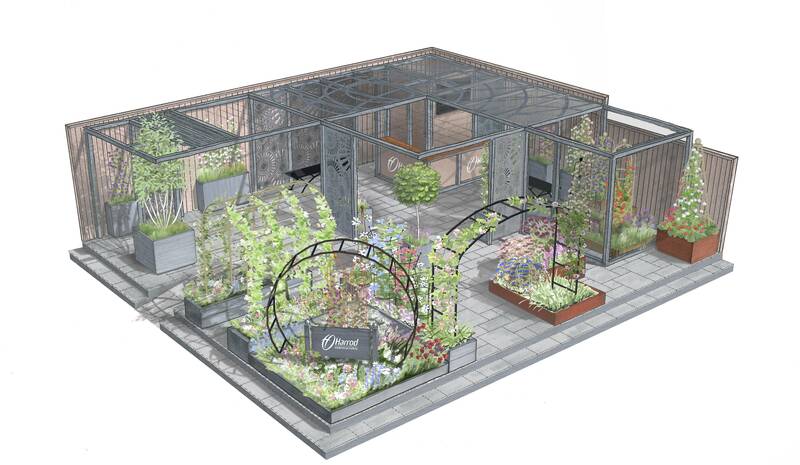 The planning began almost straight away after last year's show finished, but all the planning and design time is worth it when we see the final design for the Harrod Horticultural stand and we are confident it will be our best yet! 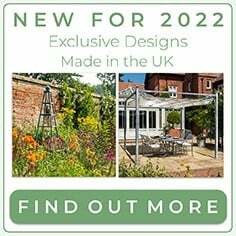 At the show we will be launching our new Modern Pergola system, a stunning customisable garden structure which will become a natural extension to your home. Innovative in both look and design, the Modern Pergola is fully adaptable to make the most of your outside space, with unique weather protection and customisable features. 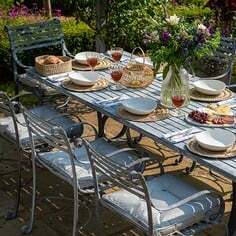 The pergola is the perfect way to create an outside room on your terrace or in your garden. 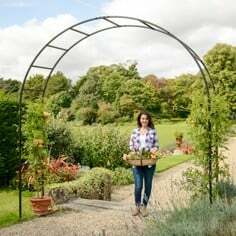 As well as the new pergola, we will be showcasing our Garden Arches range, with our best selling Moon Gate and Ellipse Arches taking pride of place on the stand. All of our arches are exclusively designed and made by us in the UK using high quality materials. 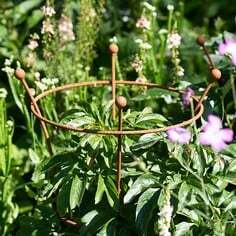 Our range of plant supports will also be on display throughout the stand, from our popular range of garden obelisks to our attractive peony trumpet supports. 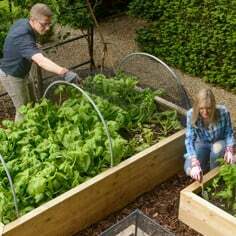 The range not only provides great support for your plants but they look great too and are available in a range of colours, styles and sizes. The planting is obviously a huge part of the stand and what better way to show off the beautiful planting scheme than in our stunning Metal Planters and Metal Raised Beds. 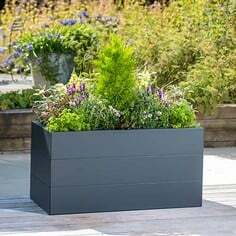 These beautiful planters are featured throughout the stand and will look stunning when planted up in our carefully chosen colour scheme for 2018. 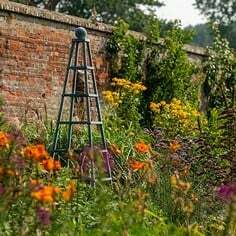 This year the planting scheme includes crimson, purple, green, white and orange with some beautiful lupins, peonies, roses, alluims, achillea and salvia. These delightful flowers will be looking at their best in our beautiful planters and supported by our stylish plant supports. 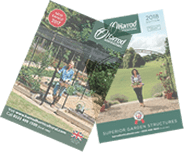 The Harrod Horticultural stand is located at 614 Royal Hospital Way - be sure to pop by the stand and say hello, we would love to meet you and discuss your gardening plans for the year ahead!